Consumers visiting a franchised business expect to see consistent product and promotional offerings that they have associated with the name and marks of that franchise chain. This is especially true in the quick service restaurant industry where a pricing strategy – e.g., a value menu – is often the backbone of the franchise system’s marketing efforts. A recent opinion by the U.S. District Court for the District of Colorado in Steak N Shake Enters. v. Globex Co., LLC, 2015 U.S. Dist. LEXIS 81303 (D. Colo. June 23, 2015), illustrates how two Colorado Steak ‘n Shake franchisees lost their franchised businesses for refusing to offer patrons the “4 Meals Under $4” promotion required by the franchisor. As discussed in detail below, U.S. District Judge Raymond Moore found that the franchisees’ circumvention of the franchise system’s pricing and marketing model in search of increased revenues “indisputably” violated the terms of their franchise agreements. Steak 'n Shake Enterprises, Inc. is the franchisor of the Steak ‘n Shake casual restaurant chain located primarily in the Midwestern and Southern United States. In September 2012, Globex Company, LLC and Springfield Downs, LLC – owned and operated by Christopher Baerns, Larry Baerns, and Kathryn Baerns – acquired two existing Steak ‘n Shake restaurants in Centennial and Sheridan, Colorado. Concurrent with the acquisitions, Globex Company and Springfield Downs entered into Steak ‘n Shake franchise agreements and license agreements for each location. After not getting anywhere with the franchisor, between February and April 2013, the Baerns devised a scheme to raise their prices while still utilizing the Steak ‘n Shake point of sale system. Ultimately, the Baerns increased their prices by (1) changing the cup size of a large drink from a 44-ounce cup to a 28-ounce cup – thereby increasing the cost of each meal by $0.50 for the “large” cup; and (2) charging a la carte pricing for each item offered in the under $4 meals. The Baerns also refused to use the franchisor’s promotion marketing items and menu, and instead, offered new menus created by the Baerns displaying the increased prices. After receiving customer complaints about the increased menu prices at the Centennial and Sheridan locations, the franchisor launched its own investigation. Thereafter, on June 18, 2013, the franchisor sent the Baerns notices of default for (1) failing to offer the “4 Meals Under $4” promotion, (2) printing new menus without franchisor approval, (3) altering the marketing materials, and (3) charging higher prices than the franchisor’s published prices. The default notices provided the Baerns with a deadline of June 20, 2013 to cure the defaults. The Baerns failed to timely correct the defaults and their franchise and license agreements were formally terminated by the franchisor on July 3, 2013. Also on July 3, 2013, the franchisor initiated a lawsuit in the United States District Court for the District of Colorado seeking both injunctive relief and damages. The franchisor’s lawsuit included claims for breach of contract, trademark infringement, and unfair competition. After the close of discovery, the franchisor moved for summary judgment on its breach of contract and trademark infringement claims. The court granted summary judgment in favor of the franchisor on both claims. Finally, the court rejected the Baerns’ argument that the franchisor was required to provide a 30-day notice to cure before terminating the agreements. According to the court, the franchise agreements contained language that allowed the franchisor to immediately terminate the franchise agreements for violations that were done “knowingly.” Because the undisputed facts revealed that the Baerns’ actions were taken knowingly, the court found that no 30-day cure period was required. After ruling in favor of the franchisor on the breach of contract claim, the court turned to the franchisors’ trademark infringement claim. The Baerns defense to this claim was premised entirely upon the effectiveness of the franchisor’s termination of the franchise agreements – i.e., absent a valid termination, the Baerns were still free to use the franchisor’s name and marks. After finding the termination of the franchise agreements to be valid, the Baerns’ opposition to the trademark infringement claim was quickly rejected. The eight counterclaims raised by the Baerns were also dispensed of by the court in granting summary judgment in favor of the franchisor. While the court’s rejection of most of these counterclaims does not necessitate any attention here, the Baerns’ claims for breach of the implied covenant of good faith and fair dealing and fraud are at least worth mentioning. Applying the relevant state law, the court found that the alleged facts supporting the good faith and fair dealing violation conflicted with the franchisor’s rights under the franchise agreements – i.e., the franchisor was free to set and enforce menu pricing. Because the duty of good faith and fair dealing cannot be used to contradict the terms of a contract, the Baerns’ good faith and fair dealing claim failed. Next, in support of their fraud claim, the Baerns alleged, in part, that the franchisor used fraudulent financial performance projections in its Franchise Disclosure Document to induce the Baerns to enter into the franchise agreements. The court dismissed this claim finding that (1) the Baerns failed to show that the projections were false, and (2) under Colorado law, projections regarding future profitability were “mere puffery” which cannot be the basis of a fraud claim. Ultimately, the court dismissed the Baerns’ counterclaims and entered summary judgment in favor of the franchisor. The Baerns’ breached their franchise agreements by failing to comply with the established Steak ‘n Shake menu pricing. This case should serve as a warning to those franchisees considering unilateral changes to their franchised businesses that conflict with the rights of the franchisors. Although the franchisee may seek immediate profit from those unilateral changes, those profits may pale in comparison to the later damages that they may cause. The Baerns personally guaranteed the obligations of Globex Company and Springfield Downs under the franchise agreements and license agreements. For reasons not explained in the briefs or court’s opinion, the franchisor appears to have initially ignored the Baerns’ requests to increase pricing and charge meal items a la carte. The subsidy checks in question were being sent to the stores due to their remote location relative to the company’s footprint in the Midwest. The Baerns continued operating the businesses as Steak ‘n Shake restaurants for a period of time after the lawsuit was filed. 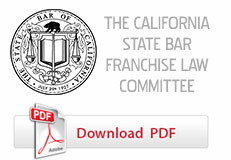 It was not until September 3, 2013, when the court granted the franchisor’s motion for a preliminary injunction prohibiting the Baerns from using the franchisor’s trademarks and to perform certain post-termination obligations – including compliance with the noncompete provision in the franchise agreement – that the franchisor gained control and possession of both restaurants. The Baerns responded by asserting eight counterclaims of their own. Steak N Shake Enters. v. Globex Co., LLC, 2015 U.S. Dist. LEXIS 81303, *40. The franchise agreements call for the application of Indiana law. Because the court was located in Colorado, and the parties were not entirely clear as to which law governed the dispute, the court applied both Indiana and Colorado law to its analysis of the good faith and fair dealing claim.